The DLF Phase 2 is located at the Shahpur region near Sector 25. The closest metro station near the place is the Vodafone Belvedere Tower on the Rapid Metro line. The National Highway 48 is located just adjacent to this place. A second look at the bedroom will show you how the room has been designed to stand out. 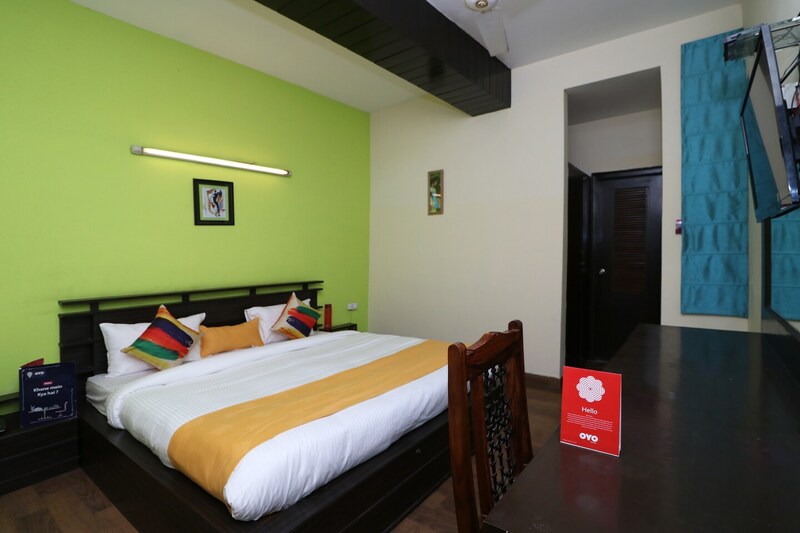 Be it the long horizontal mirror, the chair with traditional designs or the headboard of the bed - everything looks a little different.Air-conditioners and television sets are present in the rooms to make the visitors feel comfortable. Free Wi-Fi is also available for them. CCTV cameras placed all around ensure that the place is secure. There is a power backup system in place as well. Green Hut Restaurant, Firangi Restaurant, Southern Spice, Chennai Express, Cyber Hub Social, Yum Yum Cha, Knite Ryder, Apna Rasoi and others offer good dining options.